Do you guys ever considered swimming for fitness? It might be a nice change of pace for some, but bottom-line is the issue of cost if you don't have free access to an Olympic-sized pool 24/7. I would love to use swimming for exercise but the only pool available to me is three miles from my house and since I don't drive, it's not really logical for me. It's not worse than a gym membership. 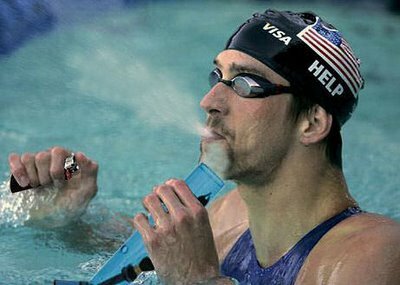 Phelps is very fit; he swam mostly since a tweez. Swimming is great overall fitness. Great for cardio, too. Swimming is a good way to go for sure. Pretty weird. By deep water do you mean the ocean or any deep pool/dam? I read somewhere that Phelps' TDEE is something like 12000. Don't know if that's true, but I really need to swim more.